There is always room in every office to boost productivity – but finding the right balance and setting is not always that easy. You want your staff to focus on their tasks, but they also need to collaborate to bring better ideas and results to the projects at hand. This is the challenge of trying to create a productive office space. It is often thought that to have focus in an office means having a quiet space, but quiet offices are not always the best environments for collaboration. Collaboration requires a very different environment than one meant for solitude. Collaborative office space is where employees can brainstorm, bounce ideas off one another, and make phone calls without worrying about disturbing those around them. In trying to create a productive office space, a balance must be struck between the need for a team to be collaborative and for some individuals to have space for focus and concentration without the rest of the team. Finding this balance is not always easy and requires some planning of your team space. It is important for small business owners to realize that in achieving a productive office space, not all workers do well in collaborative office environments. Someone whose job it is to take care of the books or other jobs that are not team-based tasks, will often work more productively when away from the team and in their own space. This is why it is important to plan quiet areas or private spaces for those employees that do not need the rest of the team to keep them productive. Keeping a collaborative team productive in the office is not always that easy, but it can be accomplished. Yes, not all small businesses have the budget to set up ‘toyland-like’ offices of the likes of Google or other tech and software companies. 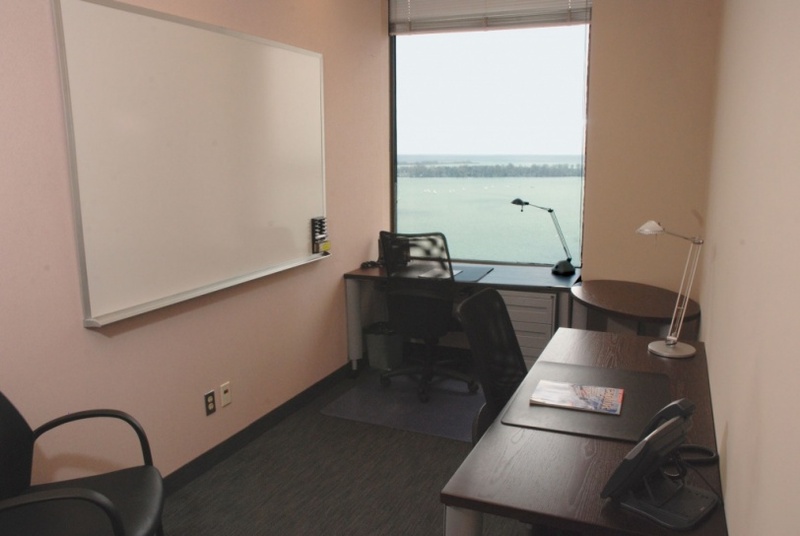 But there are inexpensive ways to plan a productive office space and still not spend a fortune to accomplish it. Outfit your office with the right tools that your staff needs to stay collaborative, motivated and productive. Tools as simple as whiteboards, pens, notepads and dry erase blotters or desktops come to mind. When ideas do come, it can be mere seconds before they disappear. Having ways of jotting down ideas and sharing them with others later, is a key to improving productivity. Forget about cubicles and desks; consider having work surfaces and non-dedicated work spaces. Not being tied down to one specific desk or not being hidden in a single cubicle that stifles collaboration, can be more productive than you might think. Not every team member is always working on the same project at the same time and sometimes there are mini-teams working on specific projects or jobs. Not having dedicated desks allows for people to change where they work within the office, to keep productivity flowing. Ditch the desktop computers and the wires; empower your team by giving them laptops and access to WiFi. The portability of a laptop (or even a tablet), allows employees to work in various parts of the office or even outside of the office. With a good WiFi, workers can move freely throughout the office without having to plug into the network. The only time they need to plug in is when they need to charge their laptops or tablets – but most modern devices can usually hold a longer charge than the devices of the past. Besides having work surfaces and tables that teams can gather around, there are other elements that you can bring to your office space to make it more productive. Having access to boardrooms or small conference rooms will enable team members to meet with each other and with clients outside of the office environment. When trying to develop a productive office space, consider adding a sofa and some comfortable chairs. When employees need to get away from their usual work surface or work group, they can still be productive sitting on a sofa or a comfortable chair with their laptop. This is also a great place for a few people to have a break-away conversation that does not disturb other team members. Remember that even 3 people huddled around a cubicle can become a distraction to other workers because everyone can see them and hear them. 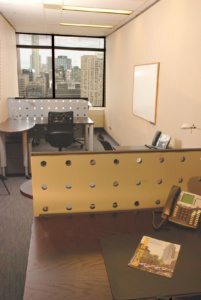 While you may like many of our ideas for creating a productive office space, sometimes talking to your staff will help you find other strategies of what will keep them productive. If your staff suggests a ping-pong table or a fussball table and you have the space, consider it. Yes, you want to put it somewhere that will not disturb other staff members, but sometime outlets like this can really bring a team together and bring out some of their most productive ideas. If you see a correlation between our ideas and those of co-working offices, it is because many companies are learning that the co-working theme is also working for team space offices. Having a co-working-like office environment is what millennials are looking for in a company they want to work for – because, quite simply, when they enjoy their working environment, they are much more productive. Just ask the people at Google! The Smoking Area as a Networking Place Around Office Buildings?